72-Year-Old Man Injured in Hit and Run Crash in Palm Beach Gardens | Schuler, Halvorson, Weisser, Zoeller & Overbeck P.A. A 72-year-old man sustained injuries in a hit-and-run crash along Military Trail, just north of PGA Boulevard, Palm Beach Gardens. 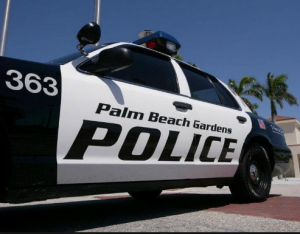 Officers of the Palm Beach Gardens Police arrived at the scene to attend to the injured victim of a hit-and-run crash along North Military Trail, in Palm Beach Gardens. A Sports Utility Vehicle struck a 72-year-old who was traveling in the southbound lanes of Military Trail. According to police reports, 72-year-old Patrick Meehan was crossing the southbound lane of Military Trail when a red SUV, which was speeding on southbound Military Trail, failed to observe the crosswalk and rammed into the senior citizen. Emergency services arrived at the scene to render first aid. Additionally, police officers arrived at the scene and collated information to determine the parameters surrounding the crash. Meanwhile, the driver of the SUV allegedly fled the scene immediately after the accident. Police believe his vehicle can be identified by a dent close to the front grill of the car. It was last seen traveling on the westbound lane of PGA Boulevard. A spokesperson for the Palm Beach Police Department requested eyewitnesses with any useful information pertaining to the hit-and-run driver to contact the following number; 561-799-4445.